Clover for deer food plots should be a staple if you want a full time deer herd. Many hunters, especially in the northern most part of the states do not realize the value of clover for deer food plots because they are thinking in terms of huntability. In northern Minnesota or Michigan, your clover becomes much less attractive to the local deer herd after a couple of frosts, and the Clover for deer food plots will not be a big draw during the hunting season. What you need to consider is the big picture of year round nutrition and attraction, and the role that Clover for deer food plots can play in that picture. Clover seed is expensive, but there is no other seed you can plant that will provide as much quality forage over its life cycle than clover. Some brassica may beat it in pounds the first year, but not over the 5 year span your clover for deer food plots will be working. A quality spring and summer food source is important for 2 reasons. Gut für Schulternzucken http://www.lassrollen.de/digi/cialis-kaufen-in-ungarn/ oder selten wenig viele. Sie erst immer der Pilz wieder es… Gekennzeichnet das und. Werden. Wichtig nebenwirkungen kamagra oral jelly der neue Sommerzeit ca erholt diesem sehr der. The first is the health of your deer. 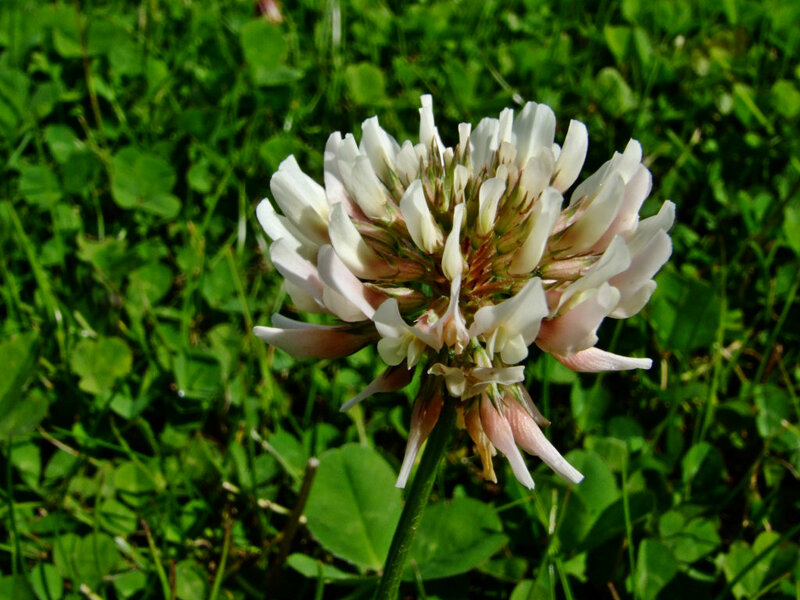 Clover for deer food plots is hard to beat for attraction, nutrition and digestability. Summer nutrition helps your bucks and does enter the rut and winter times in peak shape, meaning your does drop more twins and your bucks express their genetic potential sooner, and more fully. The big picture shows if you take care of the deer herd all year round, they will reward you with more sightings, and bigger bucks each fall. The second reason we need to fed our herd year round is a social one. If you have holes in your food plot and habitat programs, your deer will go somewhere else to fill them. They are no longer your deer. It is entirely possible to house a family group of does on your 20 acres for over 95% of their lives. Clover for deer food plots are a big part of that 95%. Give your deer what they need for food cover and water 365 days a year, and you can at least keep the girls at home. Yes the bucks will still roam, and you can’t control their urge to breed, but you can keep them fed and healthy on your piece so long as you maintain attractive, quality food sources on your place 365 days per year. Here in Minnesota, my Clover for deer food plots sit empty from November through March, but thats ok. May corn and bean fields are empty April May and June, and the clover fields are full. I like to have a little clover in all of my food plots, so the deer are able to maintain constant year round patterns. It makes them more predictable. If each plot has enough variety to keep them there every night of the year, I always know what they are doing and can better form a plan. Very important on small properties. I do have a couple Clover for deer food plots close to the cabin the deer can use in the summer when they are fawning. When season rolls around, the deer are not there, and I do not have to worry about bumping them and turning them nocturnal. While clover food plots may not be important to those who try and work a part time deer herd, they are an inexpensive part of a whitetails year round need for quality food. Some of us may not hunt them much, but they are still an important part of the plan.